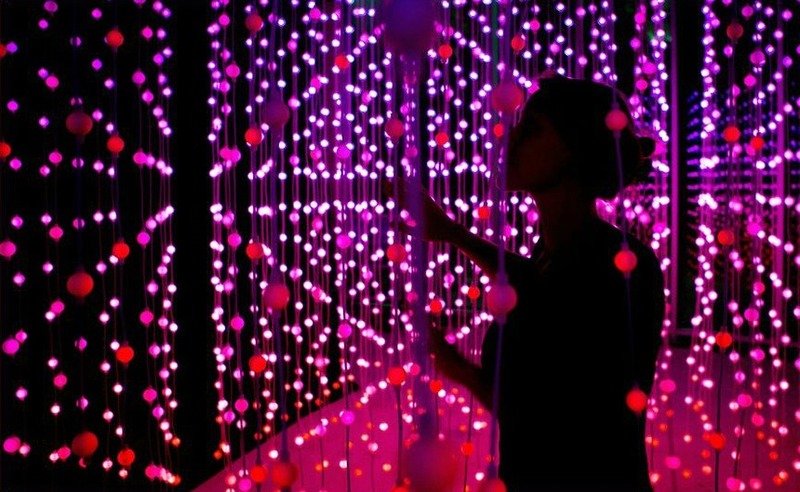 "'Submergence', work by the Squidsoup collective, will be the only indoor piece in all of the [Mexico City] 2015 VAW festival, envisioned for a closed space. 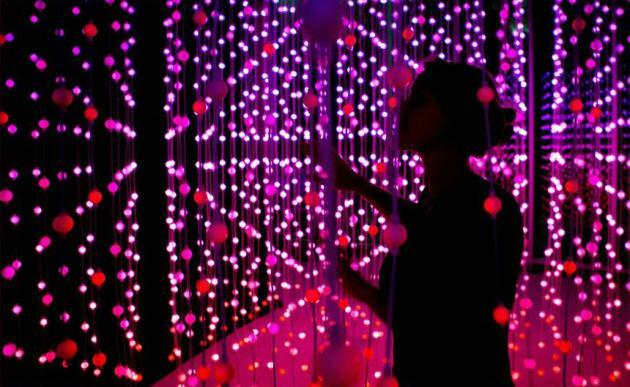 Like the name of the piece suggests, 'Submergence' proposes the audience to be immersed, inviting to stroll through it, which in an interactive process produces changes in the intensity of the lights, colors and sound expressions. With a narrative path composed of 4 parts of approximately 5 minutes each, an abstract story slowly takes shape with great poetic weight and added to the mutations that the audience contributes with their movements. The transition through subtle atmospheres introduces us to a magical and unreal world. 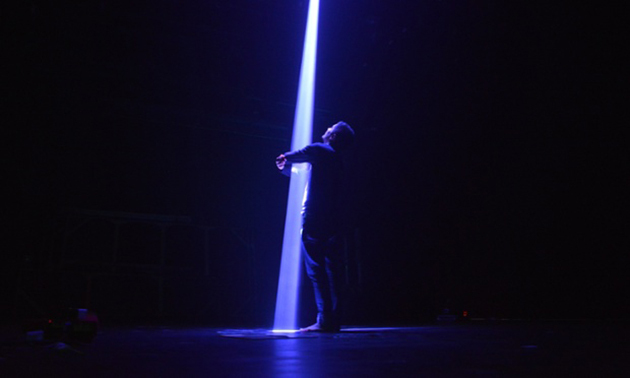 Beyond the multiple meanings the spectator can perceive in free interaction with 'Submergence', the experience is key in itself, the possibilities this piece offers to perceive and enjoy all the senses at once."